Join us on Friday & Saturday, October 4 - 5, 2019 at Saddlebrook Resort and Spa for the 27th Annual HR Florida Leadership Conference. This event will introduce attendees to a brand new format designed to better provide educational opportunities for all levels of Society for Human Resource Management (SHRM) chapter leadership. 7:00 a.m. -- 5:00 p.m.
Join us Friday, October 4, 2019 – Saturday, October 5, 2019 at Saddlebrook Resort & Spa for the 27th Annual HR Florida Leadership Conference. This event will offer various educational sessions focusing on chapter leadership and management that will provide you with critical information, best practices and tools that you can use to enhance your volunteer experience. New this year…we are adding some great team building activities as well as time for chapters to begin strategic planning for 2020. If you are a SHRM affiliated chapter president, president-elect, committee chair, board member or other volunteer leader within the 28 chapters across the state of Florida, this event is for you! The Leadership Conference will begin at 8 a.m. on Friday, October 4, 2019 and conclude around 5 p.m. on Saturday, October 5, 2019. 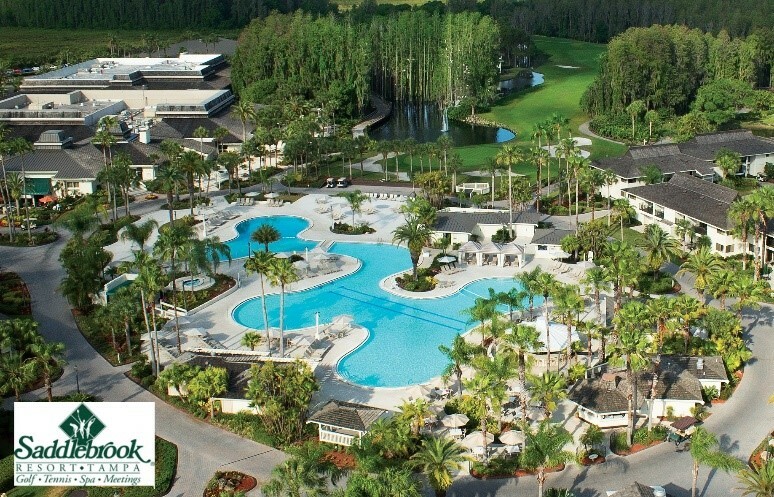 A legendary Tampa Bay resort, the award-winning Saddlebrook Resort has made a name for itself as an unforgettable meeting and vacation destination, as well as one of the nation's preeminent training facilities for athletes. The resort rests on 480 acres of rolling terrain surrounded by lagoons and cypress trees, Saddlebrook was purposely planned as a car-free Walking Village, ensuring guests can easily walk throughout the entire resort. The resort's 540 suites with a total of 800 bedrooms showcase an inviting rich tropical design and are clustered around nine serene courtyards complete with gardens, stone benches, stone paver walkways, and native lush Florida landscaping. You will also discover exceptional restaurants and lounges, ranging from the prime steaks and famous table-side Caesar salad at Dempsey's Steak House to the lively atmosphere at T.D. 's Sports Bar and The Poolside Cafe.